The U.S. technology industry warned President Donald Trump that his immigration order will hurt the U.S. economy by making it more difficult for businesses to attract overseas workers. The administration's seven-country ban is, for the tech industry, a blinking caution sign to the world's highly skilled population delivering this message: Come here at your own risk. Tech firms see the market for highly skilled workers as being "globally competitive," and any changes to immigration rules may inhibit their ability to recruit overseas. Most of these companies hire Indian nationals, who account for as many 70 percent of the H-1B visa holders. The court papers filed in support of Washington State's fight against the seven-country ban tell stories of people who can't travel out of the U.S. for fear they won't be able to get back in; people arriving at a U.S. airport only to be sent back to their home countries; and of those fearful that Trump's executive order has fueled "anti-Muslim feelings." Apple, eBay, Facebook, Google and Microsoft are among the 97 companies that are challenging the ban in appellate court. The appellate brief argues that "fairness, regularity, and predictability are core principles of immigration law and of U.S. law generally." Trump's widely expected next move is to propose changes to the H-1B visa program. A draft proposal has been released that could lead to major reforms of the H-1B and the Optional Practical Training programs. The attack on the immigration ban by tech firms may be a preview of how the tech industry approaches the H-1B issue if they don't like what Trump pitches. But the same arguments raised in the ban may not apply. 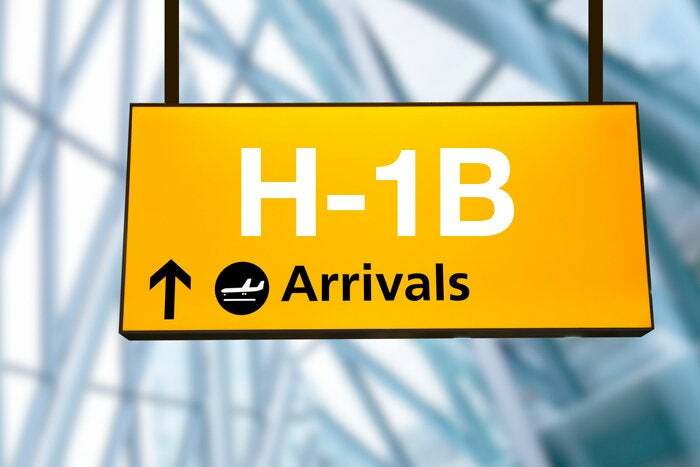 Although the appellate brief cites "predictability" as one of the principles of the immigration system, the H-1B program is anything but predictable. H-1B visas are handed out via a random lottery. There are 85,000 visas available each year, and last year the U.S. received 230,000 visa petitions. This means that many tech firms, including the companies that filed the appellate brief, won't get all the visas they want in a given year. Trump appears interested in changing the system to something that distributes these visas to the "best and brightest." How he would do that is not clear. He could broadly change the system to give preference to "non-dependent" firms, which are companies that have less than 15 percent of their employees on H-1B visas. This would be a disadvantage to large offshore outsourcing companies, especially in India, which rely heavily on visa workers. Trump may also try distributing H-1B visas on the basis of salary, skills and other criteria. Rosanna Berardi, an immigration attorney in Buffalo, New York, whose clients include Canadians, said that Trump's H-1B proposal may make it easier for people from Canada to get a visa. Right now, because of the lottery, her clients have less than a 35 percent chance of obtaining a visa. "If President Trump removes the lottery system, it would provide all foreign nationals, including Canadian citizens, a better opportunity to obtain H-1B status," Berardi said. In addition to the general Computerworld social media pages listed below, you can comment specifically about H-1B and other IT outsourcing issues at our H-1B and Outsourcing Facebook group, tweet to Patrick @dcgov and Sharon @sharon000 or email them at pthibodeau@computerworld and smachlis@computerworld.com.